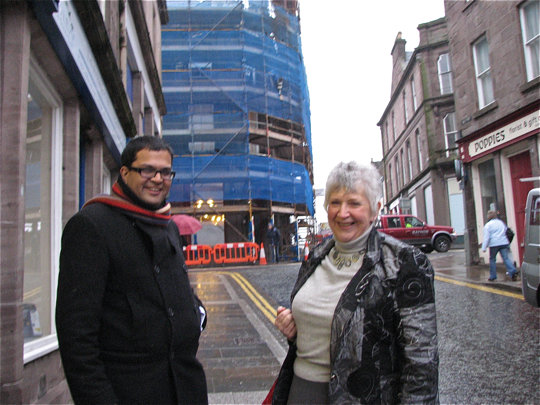 Sanjay urged all residents in Angus to support the buy local campaign as a way of supporting local shops, businesses and producers. Buying local is particularly important at a time when many local businesses are feeling the pinch and will ensure they are better placed when the economy grows. Buying local also helps to cut down our carbon footprint and plays a crucial role in tackling climate change. Montrose is blessed with many pubs, cafes, restaurants and hotels. There is also a great variety of our own independent shops such as arts and craft boutiques, antique dealers, first class butchers, bakers, florists and fishmongers, By spending our money in independent shops, we are investing more into our own town centres, preserving the heart of our community and helping to generate work for local people. 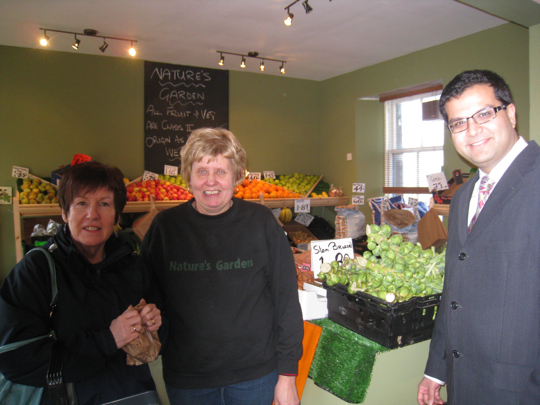 Natures Garden, in Montrose, which has only been open for a few months, is a great example of a local shop that not only provides employment, but also sells produce from local farms which could not be fresher, and so gives even more of a boost to the local economy. 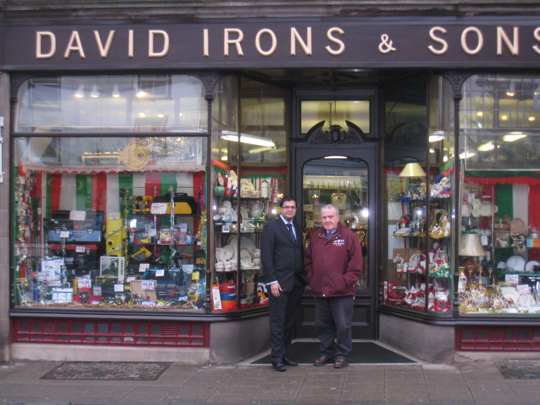 David Irons & Sons, in Forfar, is one of those shops that can only exist in towns like those in Angus. Providing employment for local people, selling items that chain stores would not carry and supported by a community that fully appreciates its rich history. I’m sure that whatever you want, if David Irons & Sons don’t have it stock, they will order it for you! Buying local can help to ensure that David Irons & Sons continues to serve the community in Forfar for another 100 years. Winning Town Centre Regeneration funding is a real opportunity to re-invigorate Brechin’s town centre. By supporting local shops, Brechin residents can help ensure Brechin has a thriving town centre. 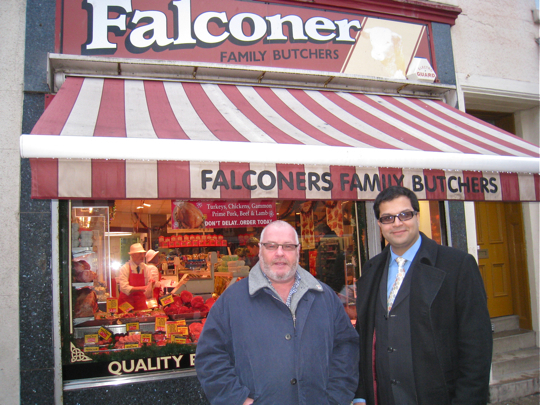 Falconers Family Butchers, in Arbroath, is exactly the sort of independent local business we should be supporting. Angus is blessed with a number of independent butchers, and it is heartening to seem them thrive. And we need to support other independent businesses in the same way. 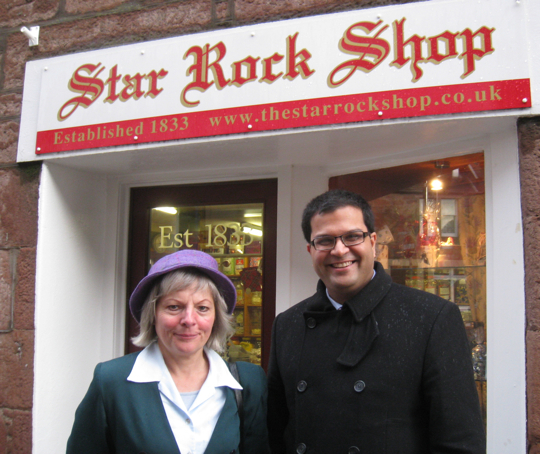 The Star Rock Shop is exactly the sort of independent shop we need to be supporting. Founded in 1833, it is part of the town’s history, providing local employment and offering something that little bit different from chain stores that have come to dominate our high streets.